1 Find The Secret Hidden Level - Make sure you have double zeros in your score to get this trick to work. Collect all of the Diamonds in Stage one. Make Sure your Score has double zeros in it. Once you reach the bottom get to the elevator that travles down, don't shoot any enemies or your score will change and the trick will not work. Once you reach the bottom, just run to the right and you will have access to a hidden stage! 1 Unlimited Energy For unlimited power, press START to pause the game. Now press A, A, A, B, B, B, A, A, A. Press START to unpause the game and the Energizer Bunny will envy you! 2 Level Skip To skip stages, press START to pause the game. Then press RIGHT, LEFT, DOWN, RIGHT, B. Press START to unpause and you'll be taken to the "Stage Cleared" screen. 3 Previous Level To go back to the previous level, press START to pause the game. Then press RIGHT, LEFT, DOWN, RIGHT, A. Press START to unpause and you'll be taken to the previous level. 4 Reverse Controls Pause the game and press UP, UP, DOWN, DOWN, LEFT, RIGHT, LEFT, RIGHT, A+B. Unpause the game and the D-Pad controls will be reversed. on the almighty Commodore 64 and Amiga computers. 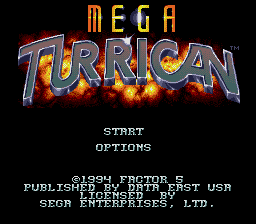 says, "...play Mega Turrican, which is far better." 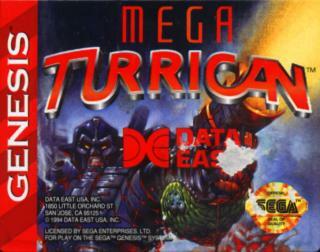 Well, actually "Mega Turrican" was not developed especially for SEGA Mega Drive. 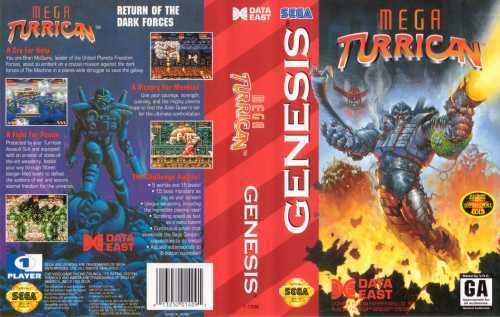 It was also first released on Amiga platform and was called Turrican 4 (or 3, I don't remember exactly) and then ported bit-to-bit to MD. The only thing they changed was the name (added Mega). And Amiga music was 100 times better, of course. You should check your information before misinforming the readers. 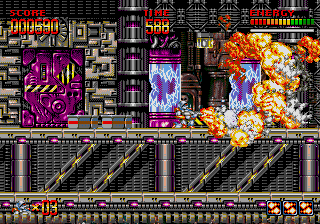 Mega Turrican on SEGA MD = Turrican 3 on AMIGA but music on MD is worse, the rest is the same.